Silviano Trino with his surgical care team at Baylor St. Luke's Medical Center. Gay Nord, market president of Baylor St. Luke’s, introduces the doctors, from left, Gabriel Loor and Todd Rosengart, who led the lung transplantation for Martha Trino's (far right) husband. Silviano Trino sang this week for the first time in years. Trino had not spoken much over the past three years due to lung damage, but he sang just one day after being released from Baylor St. Luke’s Medical Center—the same hospital where Trino underwent a double-lung transplant about two weeks ago. Trino’s surgery made history: He is one of the first Texas recipients of lungs that were transplanted using the Ex Vivo Lung Perfusion (EVLP) procedure with the TransMedics Organ Care System Lung (OCS Lung) technology. The surgery was also one of the first in the country using this technology. The OCS Lung machine is designed to keep donor lungs functioning and “breathing” in human-like conditions from the time of the donor procedure all the way to transplant surgery. The technology maintains the organ in its own physiologic state with warm blood perfusion, ventilation and a sophisticated monitoring system to continually assess the organ as it travels from donor to recipient. This was life-changing for Trino and a groundbreaking procedure for the lung transplantation process, where organ rejection rates are high, according to cardiothoracic surgeon Gabriel Loor, surgical director of the lung transplant program at Baylor St. Luke’s Medical Center and director of lung transplantation in the Michael E. DeBakey Department of Surgery at Baylor College of Medicine, and the surgeon who led the transplant. About 50 percent of rejections are caused by the immune system, while 30 percent are due to primary graft dysfunction—an acute lung injury encountered within the first 72 hours after a transplant. Trino’s new lungs were transported from the Midwest to the Texas Medical Center and kept in the OCS Lung machine for 11 hours, Loor said. Prior to coming to Baylor St. Luke’s, the Trinos, who live in Miami, had gone to four other medical centers that perform a high volume of lung transplants, but were turned away due to Silviano’s health. “His disease process is such that his lungs would not expand, so there was inflammation and damage,” Loor explained. Gabriel Loor, M.D., with Silviano and Martha Trino. The OCS Lung System was officially approved by the U.S. Food and Drug Administration on March 23, 2018. Trino said he was not skeptical about trying something new. Not only did this technology give him back his ability to sing, but it helped him feel better than he had in years. Thirty-six hours following the surgery, he was in his room recovering; 10 days later, he was out of the hospital. Baylor St. Luke’s has performed two other successful lung transplants using the technology. The surgeries were performed as part of the EXPAND II OCS trial, for which Baylor St. Luke’s is a study site, testing the outcomes of transplanted donor lungs that are transported, preserved, optimized and monitored on a portable OCS device. Loor is the international principal investigator for the largest study in the country, evaluating the ability to increase the number of useable donor lungs using OCS technology. Close to 100,000 people are waiting for life-saving organ donations in the U.S., according to the U.S. Department of Health and Human Services. 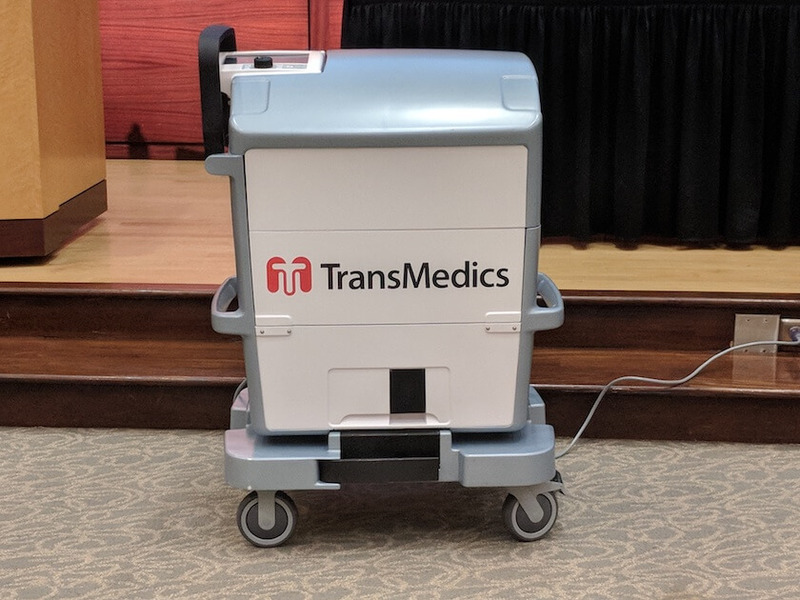 OCS Lung technology and similar technologies mean that transplants will no longer be limited by time and location, Loor said, thus expanding the available donor pool and providing more opportunities for patients waiting for organ donations.